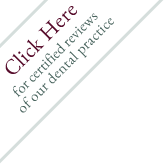 All our professionals at West Mills Smiles maintain the highest levels of accreditation and pursue ongoing education to stay abreast of the latest trends in dentistry. As West Mill Smiles continues Dr. Scott Bedell’s tradition of excellence in dental care, our staff continue to form the heart and soul of our practice. We look forward to introducing ourselves in person, but in the meantime, click on the links below to learn a little about the individuals who make up our caring, talented staff.